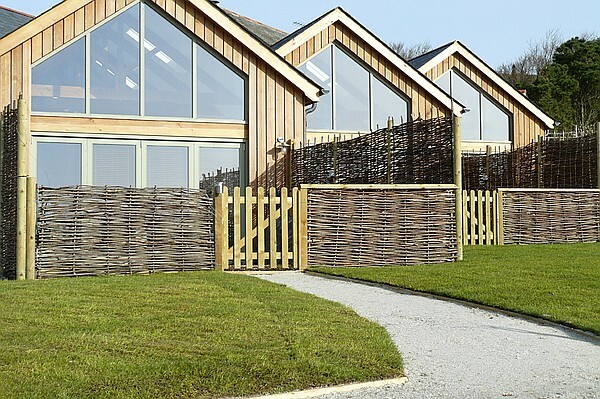 The two 5 star eco cottages at Merlin Farm have impressive glass fronted lounges with wonderful views over the Cornish countryside. 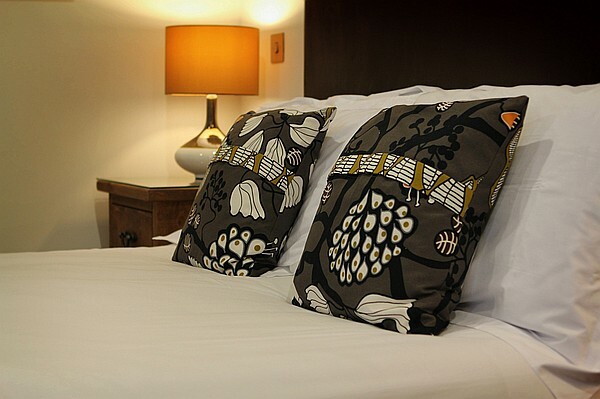 They are highly insulated and heated using modern technology and with luxury finishing touches such as Egyptian cotton bed linen and walk in drench showers you are guaranteed a cosy luxurious stay. 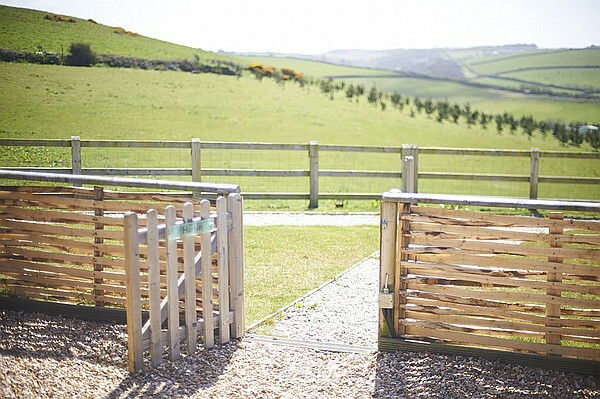 The cottages are on Merlin Farm a wonderfully secluded farm surrounded by stunning Cornish countryside, a short walk away is also one of the best surfing beaches in Cornwall, Mawgan Porth. 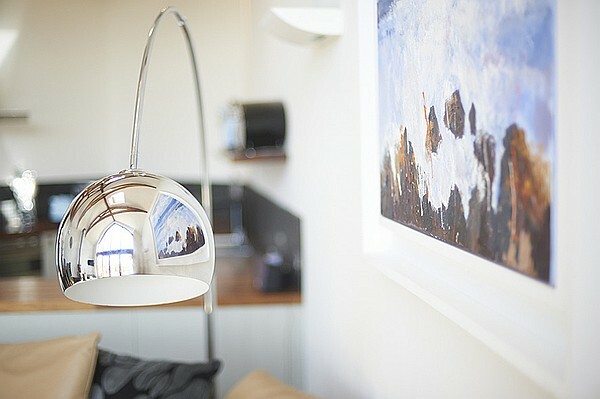 The cottages were awarded "one of the top 50 Best British Escapes" by The Independent. The Farm is ideally situated close to many of Cornwall’s most popular attractions such as Watergate Bay which is within walking distance. Here you can find many water sport activities as well as Jamie Oliver’s popular Fifteen restaurant. Padstow is also a short distance away, here there is an impressive array of eateries and independent shops and of course the Rick Stein’s famous restaurant, cafe and bistro. 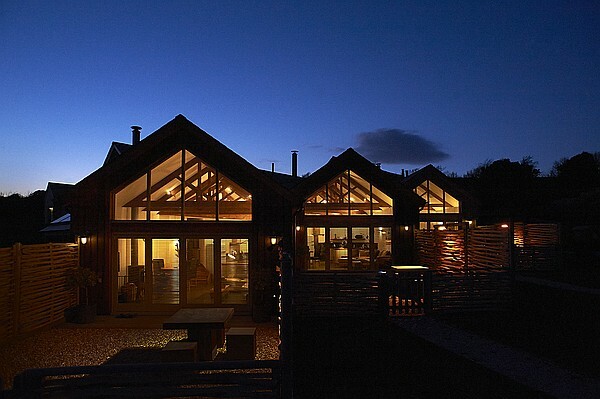 The two eco cottages have an identical layout. Kitchen/Diner/Living Area – Is a large open plan space with a large glass doors leading to the enclosed garden. There is a log burning stove, TV and DVD player, large sofa, ipod dock, well equipped kitchen with a large fridge, dishwasher and washer/drying machine. Wetroom bathroom – with a bath and luxury walk in shower. Twin Bedroom – with two single zip beds which can be zipped together to make a king size bed. The glass folding doors open out onto an enclosed gravelled area with outside dining furniture and stunning views over the countryside. Mawgan Porth Beach – The beach is within walking distance (15 minutes) along a wooded track and then a public footpath. The Beach is popular with surfers and has been awarded by The Times as the 6th top European beach. 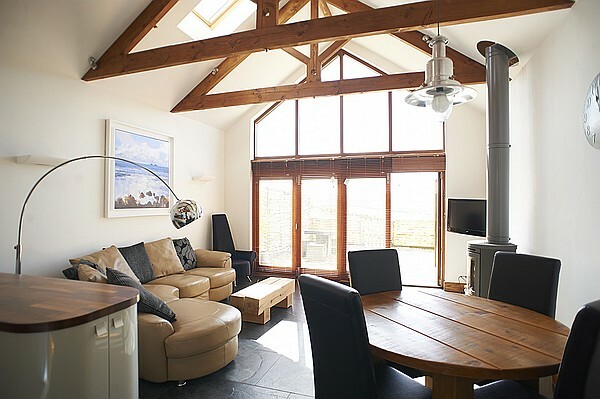 Watergate Bay – Can be reached on foot as it is only 2.4 miles away from Merlin Farm. It is a very large expensive beach offer many watersports. There is also a selection of restaurants and eateries including Jamie Oliver’s popular Fifteen restaurant. Newquay – The buzzing town of Newquay is just over 5 miles away from Merlin Farm. It has a thriving lively beach and a bustling town centre with numerous shops and lively bars and restaurants. Padstow – The very popular Cornish fishing village of Padstow is just over 8 miles away. There are numerous independent shops and restaurants as well as the world famous Rich Stein fish restaurant. Exteme Academy – For the adrenaline junky Watergate Bays Extreme Academy is a popular attraction here you can try your hand at kite surfing and traction kiting. Segway – There are centres at both Newquay and Helston to try the Segway, both are open to most ages and abilities. The Eden Project – Cornwalls most popular attraction The Eden project is 18.6 miles from Merlin Farm. There is an indoor rainforest and a frequent ever changing range of events being held. If you wish to have a unique view of the centre there is a Skywire giving you a birds eye view. Outdoor Laser Tagging – At Delabole Big Dunks has all the latest equipment and boasts a large range of up to 400 yards. Karting - Just a 5 minutes drive away is St. Eval Kart Racing Circuit. Here there is a 1.2km circuit with caters to everyone over 7 years old. Horse Riding - At Perranporth Reen Manor provide a large range of rides from a 1 hour trek to half day pub rides. ​​Coasteering - Is a mixture of rock climbing and scrambling and is becoming increasingly popular, Hotrocks in Newquay can help you truely explore the Cornish coastline. Old Macdonalds Farm – Is an intimate family run farm yard park. Young children really enjoy a trip here. Crealy Adventure Park – This is Cornwall’s largest theme park. Here there are fairground rides, a farm yard, adventure playground and mazes. Blue Reef Aquarium – In Newquary this large Aquarium has an impressive range of sealife. Newquay Zoo – This award winning zoo has over 130 species making a perfect day for all the family. Lappa Valley – Is a charming leisure park, it is accessed using by a 2-mile steam train ride. Once you arrive at the park there are paddle boats, canoes, 2 miniature railways, a crazy golf course, maze, playgrounds and a woodland walk. The Park – This is just a short walk from Merlin Farm. It is a holiday park with a popular small children. Walking – Merlin Farm is surrounded by stunning walking country and many coastal paths. From your front door you can easily walk to Watergate Bay, Padstow, Carnewas and Constantine. Golf – There are a number of golf courses easily reached from the Farm, the closest are at Merlin, Treloy and Trevose. National Trust Properties – Cornwall has a brilliant range of National Trust Properties. Within easy driving distance of the Farm is Lanhydrock and Trerice. We welcome dogs at our Eco cottages except during the period between 26th July and 30th August. We do have just a few requests to people holidaying with their dog. These are that dogs are not left alone in the cottages due to them possibly becoming distressed in unfamiliar surroundings and that you clean up any dog mess (using the eco dog poo composter). Because there are other dogs and wildlife at the Merlin Farm we ask that you keep your dogs on a lead around the farm and that they are fully vaccinated. 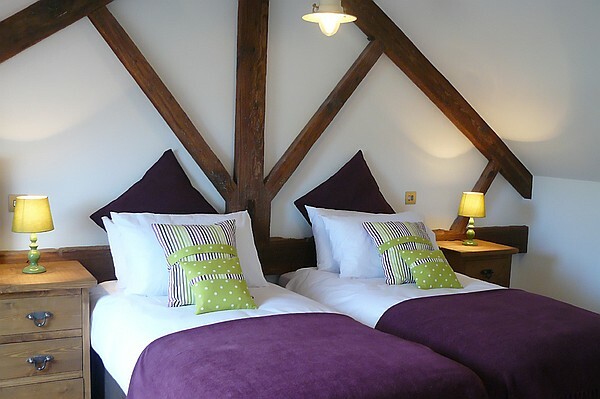 The eco cottages are also let to holiday makers who do not have dogs and so we’d be grateful if you could not allow your dogs onto the beds and sofa’s. 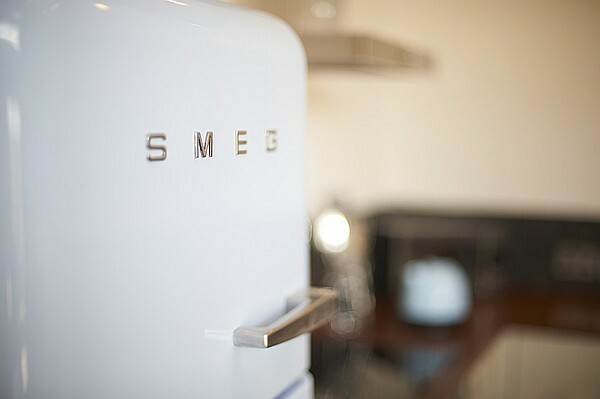 We understand how many things you have to pack when travelling with young children and babies and therefore we have tried to make the cottages as baby/child friendly as possibly by having items such as a travel cot, highchair, fireguard, stairgates, baby bath, changing mat and Plastic cutlery, cups, plates and bowls available. 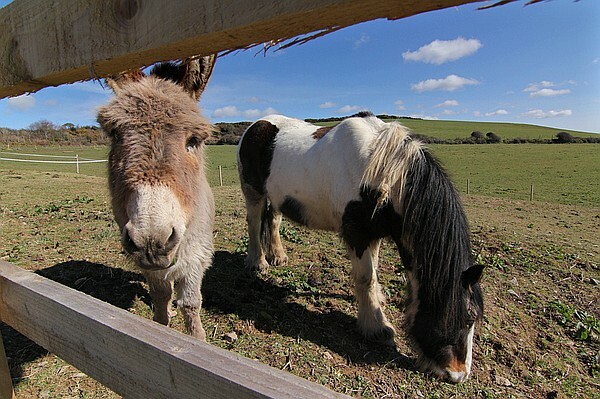 The Farm is great fun for children as they love a visit to Horace the Donkey as well as the horses. There is also a play area on the farm where they can meet other children on holiday at the farm. Bedding and towel (ex beach towels) are included in our prices. We charge £20 for dogs and regret that no dogs under 12 months are allowed. No dogs are allowed in our cottages during the time of 26th July and 30th August. Low occupancy discounts are available at 15%. To secure a booking a 25% deposit is taken and a £150 security deposit.